What is the Family Savings Scheme? Answer: This is a saving scheme designed to encourage families to save together and enjoy exclusive privileges (Interest rates and family rewards) while they continue to enjoy the confidentiality of their banking relation and manage their accounts as unique individuals. What is the Family Fortune Promo? 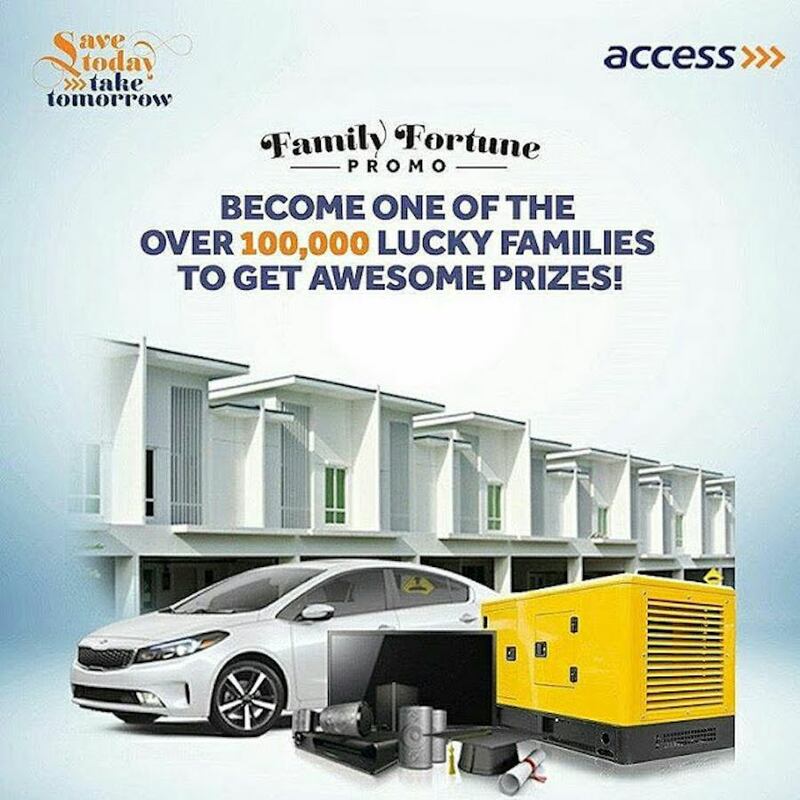 The Family Fortune Promo is the nationwide savings promo targeted at the family unit with Weekly, Monthly and Mega random selection. How can Families participate in the Family Savings Scheme and Family Fortune Promo? Fill and submit the Family Banking Subscription Form with account numbers of your Family members at the nearest Access Bank branch. You need a minimum of three (3) and a maximum of five (5) members of your family to qualify for the promo. All account numbers tied to the Family Banking Account must have a minimum of N20,000 to be eligible for the promo. Collect a form for the Family Banking Scheme at the nearest Access Bank branch. Fill out the form with (3) three to (5) five other members of your family and submit at the branch. All members of the family 18 years and above must sign the on the family banking account opening form. Ensure you provide email addresses and indicate your Family Status Subscription. Submit the form at the nearest Access Bank Branch. Deposit the required amount to qualify for the random selection (Weekly, Monthly and Mega). 3 Houses to be won 1st Prize. Holiday tickets to Dubai (5 Days and 4 Nights stay) for 4 people in the winning family. The Holiday Package includes Airfare, Hotel Stay and other Fun activities. All the prizes would be distributed through the branches where banking relationship is domiciled or indicated branches by the winners.